As our financial lives evolve, we often wonder at what point or how frequently to take certain actions toward our long-term goals. In an ongoing feature, investment advisors from Landaas & Company provide answers. Each of the responses includes links to further information. When Should I … expect my tax forms? When Should I …roll over a retirement account? 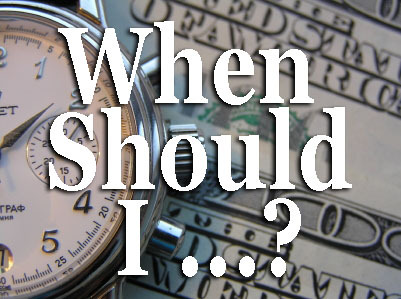 When Should I …contribute to an IRA? When Should I …take my required minimum distribution? When Should I …check my beneficiaries? When Should I …check my Social Security Statement? When Should I …start saving for college? When Should I …rebalance my portfolio?